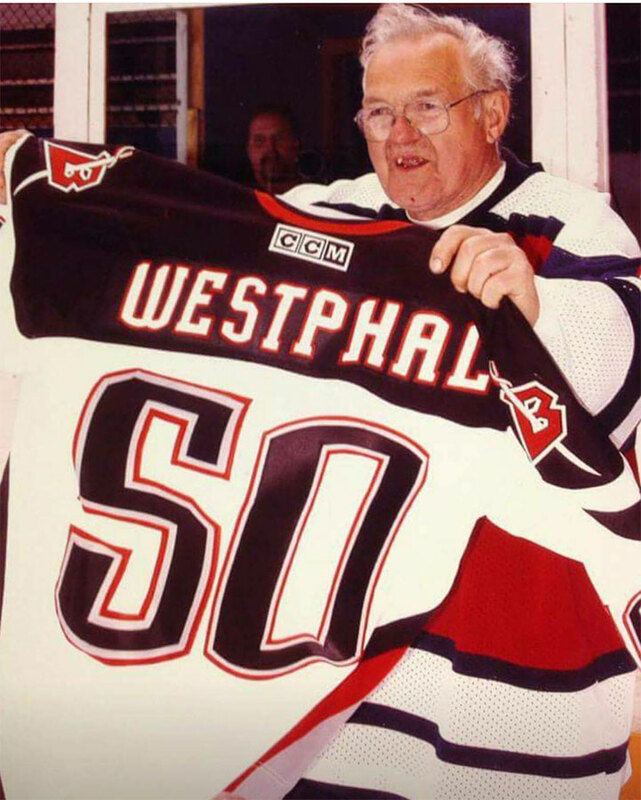 The father of youth hockey in Western New York, Bob Westphal is credited with teaching the sport to over 10,000 children in his 55 years of coaching amateur hockey. Bob founded the highly successful Buffalo Regals Hockey Club in 1954 and didn’t just coach one of the club’s teams, but all of them. In fact, Bob was the Buffalo Regals. With up to 900 players registered annually, the Regals had programs at every level from Canadian Junior B right down to the entry level beginner divisions. His squads competed for several New York State and national championships, and they consistently ranked very high competitively in the United States and Canada. However, his primary goals were not in winning games, but teaching youth the values of hard work, team play, having pride in their performance, and providing a safe and fun environment for all the players and their families. Bob was most noted around the hockey community as one who gave so much to the youth of Western New York. It was not unusual of Bob to donate equipment and give aspiring players rides to the rink. He would do everything in his power to make sure the young hockey player had a positive experience, and he did so without ever seeking recognition. In addition to the Regals, Bob also directed the rink program at Roosevelt Outdoor Rink and he was the first coach to ever lead the Hutch Tech HS team in the new Explorer League, of which he was on the Board of Directors. Many of Bob’s former players remained loyal to him and his programs. Future pros such as Aaron Miller and Todd Marchant, USA Officiating Director Mark Rudolph, NHL linesman Tim Nowak, Buffalo Sabre equipment manager Rip Simonick and the late EJ McGuire, VP of NHL Hockey Operations, gave back to the Regals with their time, just as Bob had done for them. Bob received the Mike Duffett Award in the mid-1980’s for being the top amateur hockey coach in Western New York. Not one to promote himself, Bob was forced to attend his own ceremony. Bob passed away at the age of 77 in 2013, as Buffalo’s most dedicated youth hockey coach for children who played and lived in the city.